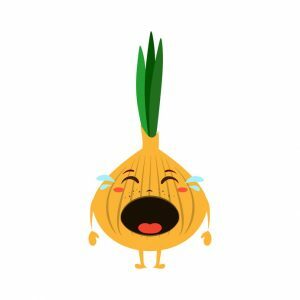 If you’ve dealt with heartburn and acid reflux before, you know how aggravating they can be. In addition, they might even be precursors to more serious conditions with potentially long-term consequences. So if you have long-term, persistent heartburn or acid reflux symptoms, it is important to speak with a medical professional. Contrary to popular belief, heartburn and acid reflux are not interchangeable. Here are some of the biggest differences between the two. In many cases, heartburn is the symptom and acid reflux is the cause. You see, between the stomach and esophagus is a circular muscle called the lower esophageal sphincter (LES). The LES in charge of closing the esophagus when food passes to your stomach. But sometimes the muscle gets weak and fails to close properly and when this happens, stomach acid backs up into the esophagus. In many cases, discomfort can occur in the lining of the esophagus because it’s more delicate than that of the stomach. 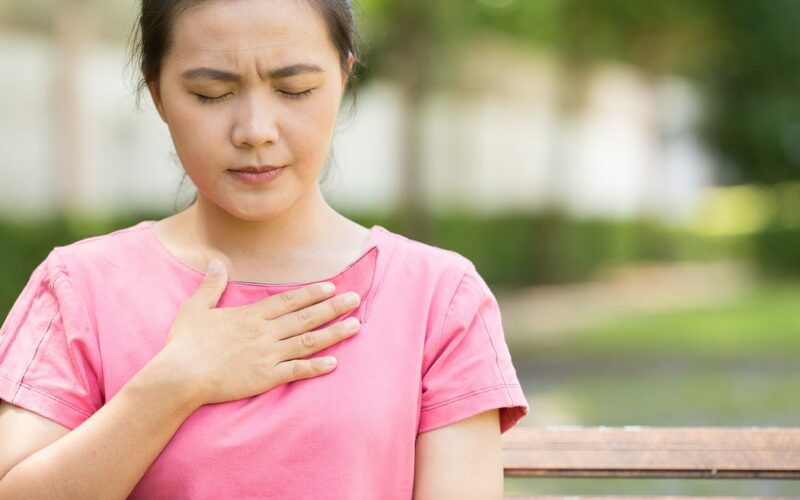 When stomach acid rises into the esophagus, it can cause that burning sensation in your chest — but the discomfort of heartburn stemming from acid reflux can vary. 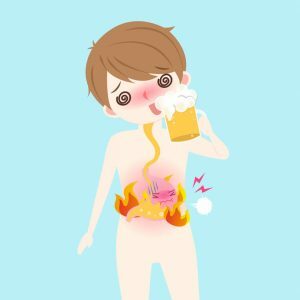 Most people with acid reflux feel it right after eating a meal, and in many cases bending over or lying down can make it worse. It’s important to mention that you can have acid reflux without having heartburn. And it’s not uncommon for people to have a bit of reflux every once in a while. 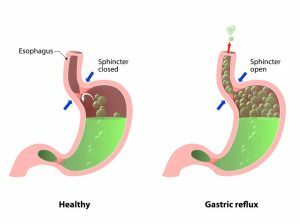 But if reflux becomes habitual you might need to consider the possibility of a deeper gastroesophageal reflux issue. Acid reflux can start to occur on a more regular basis. 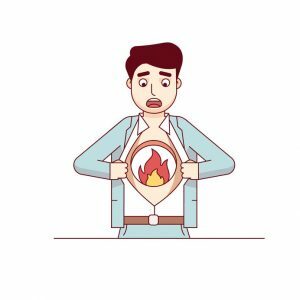 If the signs of acid reflux and heartburn occur at least once every two weeks, you may want to check with your healthcare professional. Because if a doctor can see visible damage to your esophagus due to stomach acid damage, you’ll likely need a more serious plan of attack. At its worst, untreated reflux can lead to further concerns. In some cases, stomach acid can actually wear away the esophageal lining over time which can lead to complications like bleeding, esophageal narrowing, or other concerns. Now, there is quite a degree of variance when it comes to what foods can trigger acid reflux, but some foods are more likely than others to cause issues. 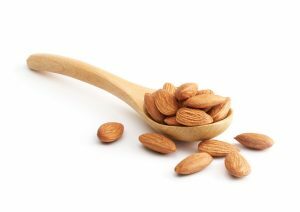 Like with any diet, there could be a bit of trial and error as you find your favorite low acid foods. But there are certain foods that are more likely to irritate your esophagus. However, if you stick to foods with lower acid content, you’ve got great cornerstones for a low-acid diet. (And many of these foods are vegan). Bonus! 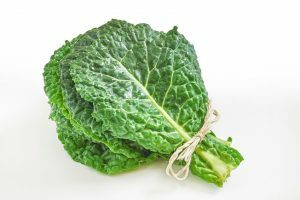 It’s no surprise that green leafy vegetables like kale and spinach are some of the healthiest foods around. But like bananas, not only are these greens relatively alkaline, they’re so nutrient-rich you’ll want to include them in every meal. 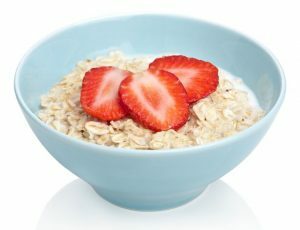 Whole grains are good choices for dealing with acid reflux, but oatmeal is one of the best options for your stomach. Consider combining it with almond milk for a great way to start your day. Alcohol can actually affect the esophagus directly. Not only does it come into actual contact with your esophagus, but it can cause mucosal damage.12,13 A direct link isn’t clear, but alcohol abuse can lead to several health issues. Here, moderation is always the way to go. Whether it’s an irregular occurrence or an everyday issue, acid reflux can have an impact on your daily life. Like with so many biological processes, your diet can impact acid reflux and cause it to get better… or worse. Unfortunately, some of the most common foods that can lead to acid reflux are components of a vegan diet. So even within the parameters of a vegan lifestyle, you should strive for a balanced diet. Be sure to fill your plate with several healthy options. Your stomach — and rest of your body — will thank you.